Teague Custom Marine was born out of a desire to solve problems and do things better, a philosophy that still guides the company today. Following decades of innovation and its own share of successes in the competitive boating world, Teague Custom Marine is perfectly situated to provide problem-solving and reliable marine engines and rigging components. 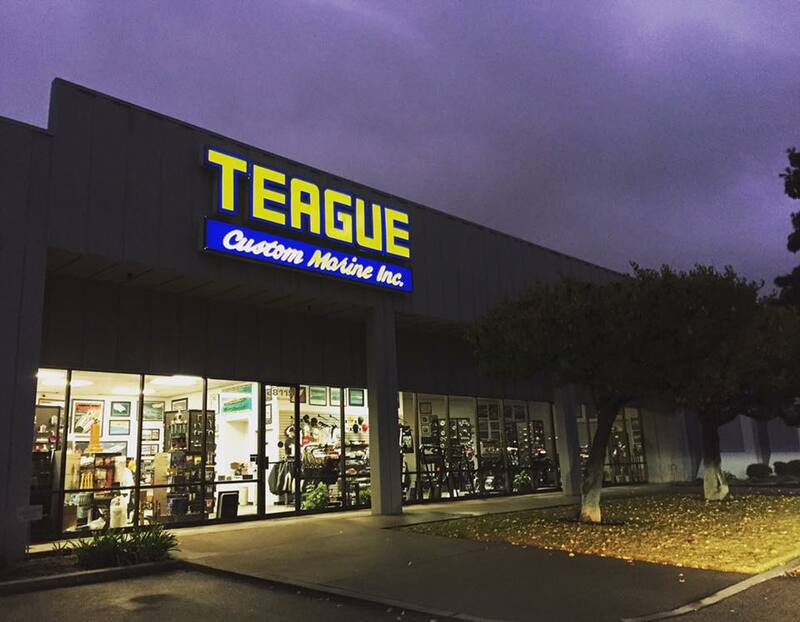 Teague Custom Marine is your go-to shop for high performance marine engines and parts. For more than four decades, we've helped match performance marine enthusiasts with top-of-the line custom engine packages and aftermarket parts. Browse our selection of high-quality engines and parts today to find the setup that meets your needs. Teague Custom Marine serves the needs of local retail customers, worldwide powerboat enthusiasts, and all major high performance boat manufacturers by offering the TCM family of high performance marine engines as well as its own line of TCM parts, manufactured in-house. Teague Custom Marine specializes in a well-rounded offering of services including engine upgrade packages, custom rigging, outdrive repair, fabrication, and quality service and maintenance. Whether you're looking for a high-quality rigging component or an aftermarket part for your performance rig, Teague has what you need to succeed in the boating world. In addition to being one of the most respected engine and engine component manufacturers in the boating industry, Teague is also one of the largest distributors of aftermarket parts. If we don't have it, we'll get it. If we can't get it, we'll make it. And if we can't make it, we'll help you find a solution to your problem. With an array of marine engine packages ranging from 600 horsepower to 1600+ horsepower, Teague Custom Marine can help you find the solution you need to gain an edge. Our custom marine engines have propelled countless performance boating enthusiasts to wins and records, and we're here to help you find the solution that words best for your configuration. At Teague Custom Marine, we are boating enthusiasts – not just salespeople. Because we install everything we sell, we can offer insightful advice that helps you take full advantage of your engine and marine parts. Whether you're looking to give a boost to your current marine engine or a replacement part to get going fast again, Teague Custom Marine is the place to be. Teague Custom Marine was established in 1972 by Bob Teague. As an avid boat enthusiast, Bob started the company to help afford his own boat racing program. During the 1970s, Teague Custom Marine was based in Burbank, California. Its primary focus was on super high performance v-drives and jets. Most of the development work in those early years went into making v-drive day cruisers handle with big horsepower, and establishing durable engine and drive train programs. Bob worked closely with companies such as Spectra and Schiada, rigging and powering a couple hundred cruisers and ski-race boats. 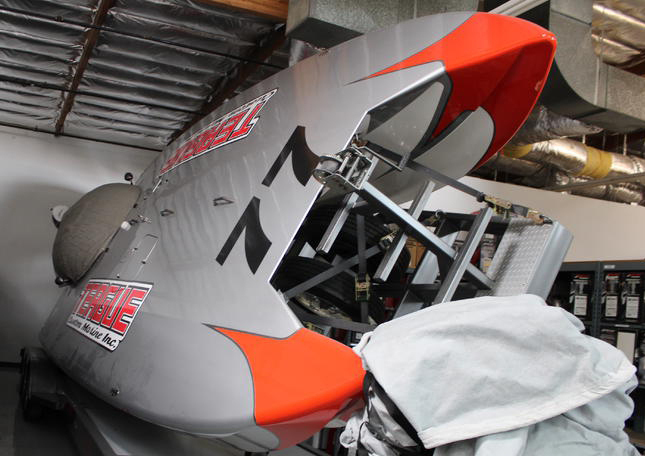 Teague Custom Marine also provided services to the Nordskog Competition Center, building and maintaining Bob Nordskog’s fleet of marathon and offshore race boats. Bob’s brother,Norm Teague, was Nordskog’s crew chief who, along with Bob Nordskog and Bob Teague, made up the Nordskog racing team. This team relationship lasted over twenty years, accounting for an unprecedented race win record and the establishment of numerous world and national endurance speed marks. Simultaneously, Bob also raced his own Grand National marathon boat racking up an impressive list of wins and accomplishments including induction into the APBA Hall of Fame. Teague Custom Marine serves the needs of local retail customers, worldwide powerboat enthusiasts, and all major high performance boat manufacturers by offering a comprehensive line of TCM parts, manufactured in-house, and stocking brand name marine and performance product lines. Over 40 years of experience in the high performance marine industry affords us a wealth of product and technical knowledge to pass on to our customers. Currently, Teague Custom Marine is involved in Offshore and other types of endurance racing. 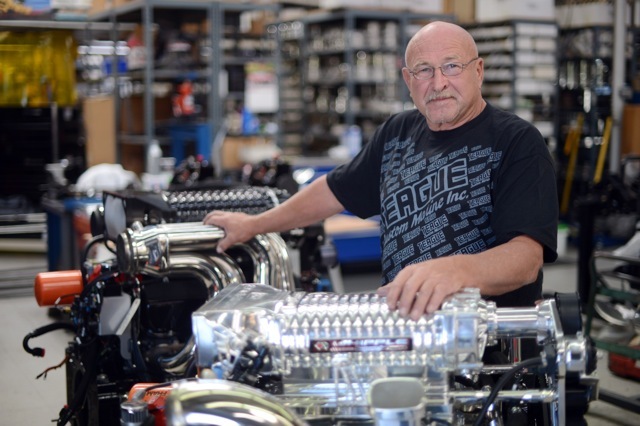 Bob Teague owns and throttles the Super Boat race team, Teague Custom Marine Offshore Racing #77, which holds World Kilo Records and was the back-to-back-to-back National and World Champion through the most competitive years in the class. Throughout the 1990s and 2000s during the height of the West Coast offshore racing scene, many of the most successful offshore race teams in the country were based out of Teague Custom Marine, achieving an impressive array of World Championships and speed records. Today at Teague Custom Marine, we install everything we sell. So when you order a part, product, kit, engine or drive from us, we know everything you need to do the job because we have done it ourselves. No other mail order supplier can make this claim. Teague Custom Marine’s complete service center specializes in routine maintenance including platinum Mercury and Ilmor Warranty services, engine rebuilds, outdrive repair and service, custom installations and rigging, and complete re-powers… For all kinds of performance powerboats. So, if you don’t see what you are looking for in our online store, call and ask. We probably have what you need. If we don’t have it, we’ll get it. If we can’t get it, we’ll make it. If we can’t make it, we’ll help you find the right solution to your problem..
We are constantly promoting and participating in high performance boating events and races with our own and our customer’s equipment nationwide. 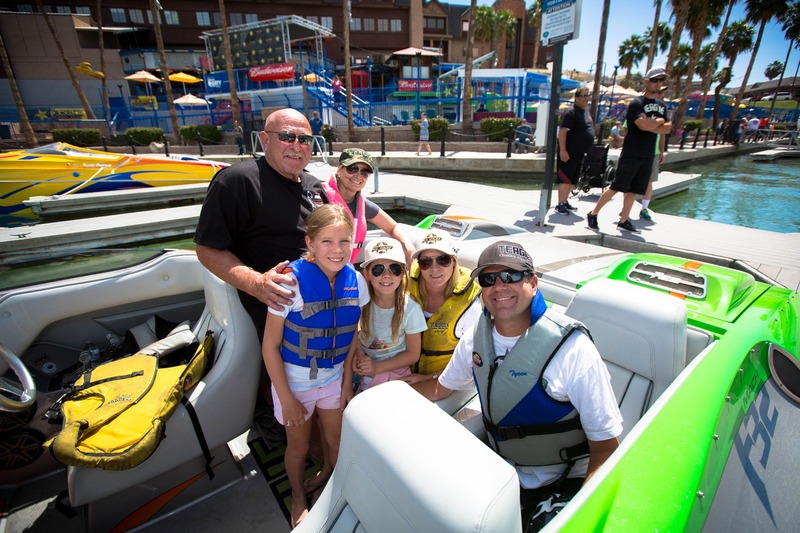 With a focus on charity fundraising, honoring our men and women in the US Military and promoting the performance boating lifestyle, we have grown our poker runs such as Desert Storm and Monster Bash in Lake Havasu, AZ and Big Cat Poker Run in Discovery Bay, CA into nationally known, must attend events by performance boaters and industry insiders. Teague Custom Marine also supports events and causes that are close to home and is proud to be the continual presenting sponsor of the Castaic Lake Junior Lifeguard Program. Bob Teague is a founding member of the Platinum Powerboat Club, “The Club with a Heart”, which focused on giving powerboat rides to special needs children in venues such as Sunny Isles Beach, FL. This same idea has spread and we have created the annual Krusin’ for Kids charity boat ride day in Lake Havasu, AZ where Desert Storm volunteers give boat rides to under privileged and special needs children and adults.